(1) In order to download to your computer text of any of volumes listed below, or in order to see/download any illustraction, just click on underlined description chosen from the list below! (2) Note that in order to neutralize effects of the continuous sabotage of monograph [5e] by evil parasites from UFOs, monograph [5e] is also downloadable from several further Web sites (look for Text [5e] in "Menu 3"). Thus if something refuses to download from this page, try to download it from another location. (3) Almost all illustrations used in this monograph [1e] are also used in monographs [1/4] and [5/4]. 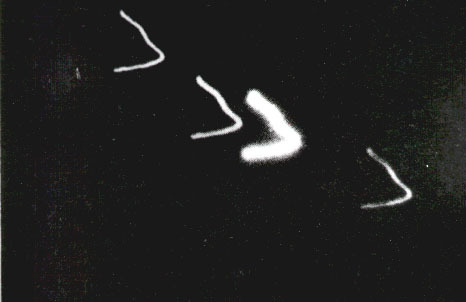 Thus if here these come out unclear, they can also be seen in [1/4] and [5/4]. (4) For further instructions see the end of this Web page. Part A: Text of the English language version of monograph [5/3e] after compression to (*.zip), from the WORD's XP source format. Part B: Text of English version of monograph [5/3e] in WORD's (*.doc) format. Note that WORD formatted text takes twice as much space as that in (*zip), although later it is much simpler in use. Because in order to fit onto Web servers, subsequent valumes with *.doc format must be split into two parts and altered, these volumes are not as frequently modified as the complete volumes in the (*.zip) format provided above. 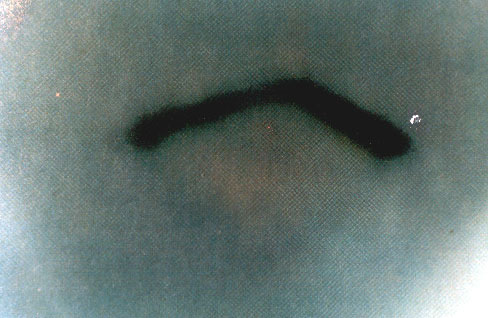 Part C: WORD XP tekst polskojezycznej wersji monografii [5/4p] "Eksplozja UFO w Tapanui 1178 AD, ktora przemiescila kontynenty" (Copyright 1998, ISBN 0-9583380-6-X), po jej skompresowaniu do formatu *.ZIP. Part D: Text of Polish language version of monograph [5/4p] after compression to (*.zip) size from the source format of Word Perfect 5.1. Part C: Ilustrations for both versions of monograph [5/4] (i.e. for English and Polish), in formats *.gif or *.jpg. 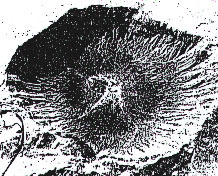 [5/3e] Figure 2: An eastern section of the Tapanui Crater where UFOs exploded in 1178 AD. 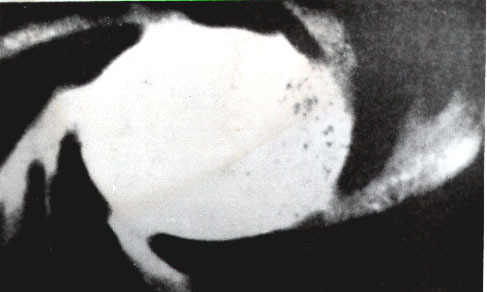 [5/3e] Figure 5: Three basic types of crater-producing explosions. 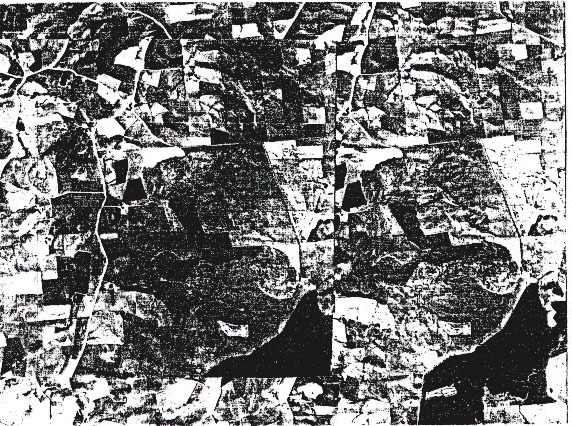 (a) underground, (b) on-ground, (c) aerial. 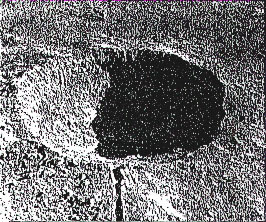 [5/3e] Figure 7 (a): Complex crater structures from on-ground explosions. 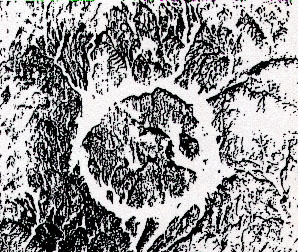 TNT detonation - Snowball Crater in Canada. 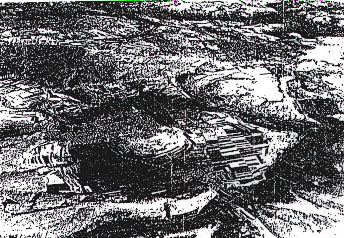 [5/3e] Figure 8: Similarities between Tunguska and Tapanui UFO explosion sites. 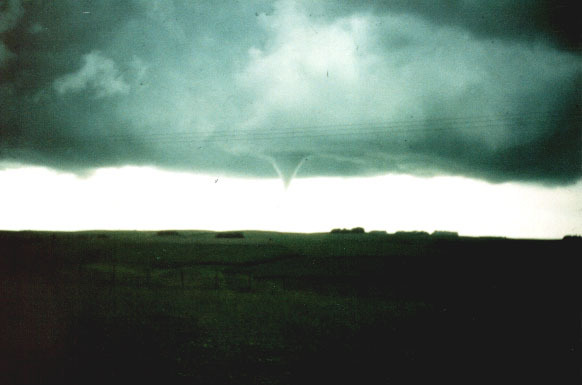 [5/3e] Figure 12 (high): Photographs of a tornado by Mrs Diane Chittock. 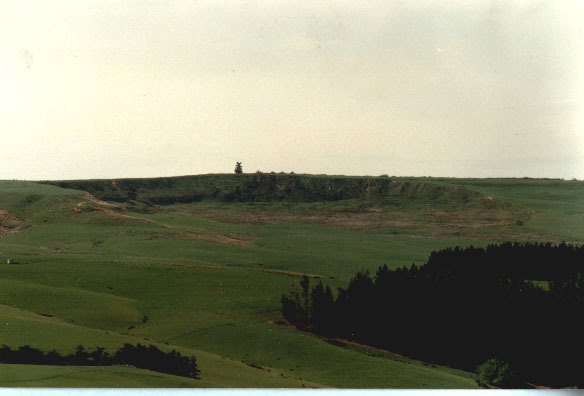 This tornado develops the funnel right above the Tapanui Crater. 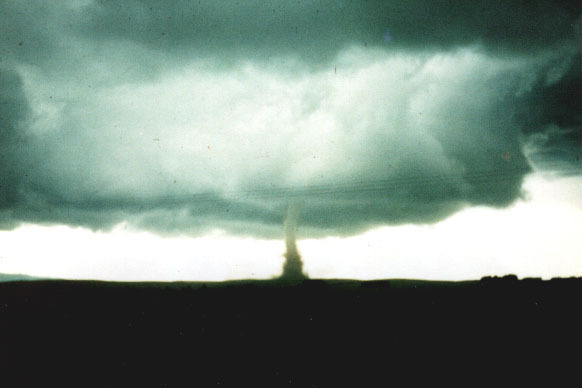 [5/3e] Figure 12 (low): Fully developed tornado drifts away from the crater. [5/3e] Figure 13: A map which shows defficiencies of micro-elements in soil of New Zealand. 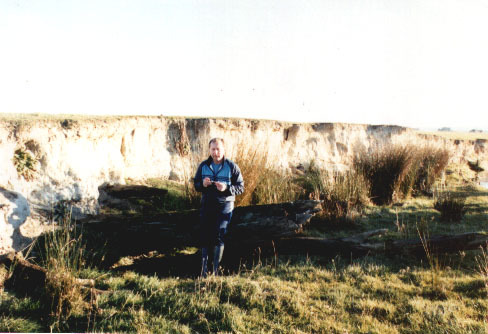 The concentration of this defficiences is around the Tapanui Crater. 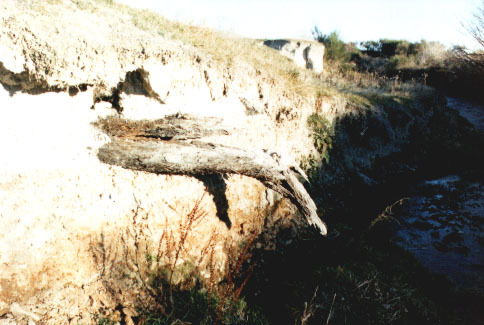 [5/3e] Figure 15 (b): A china stone that formed a small crater by Black Gully Creek. 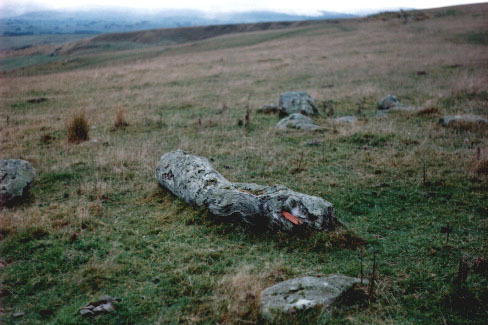 [5/3e] Figure 15 (c): A "China Stone" from Coal Creek near Roxurgh. 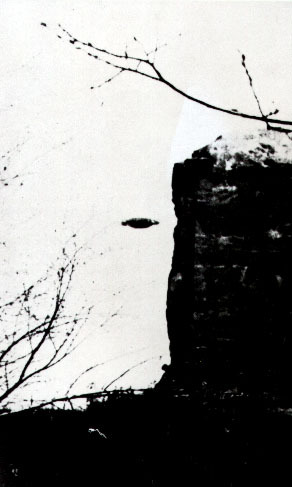 For some reason this weighting a few tonnes stone was lifter up into the air by a UFO vehicle and deposited near its original position (see imprint from this stone in the grass located in front of it). 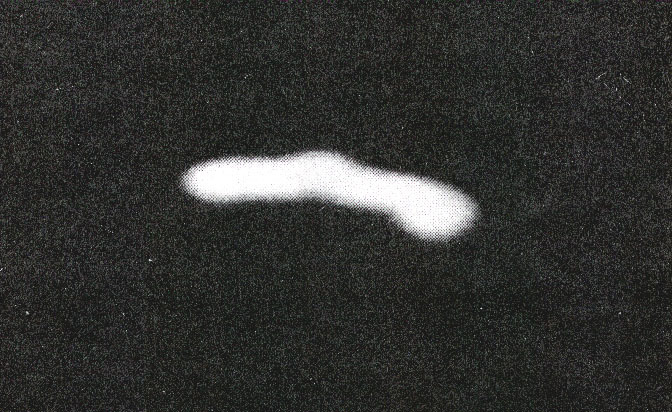 The UFO left a ring of scorched grass surrounding this stone, which can be seen to the left - this ring is similar to ones shown in Figure 31 B. 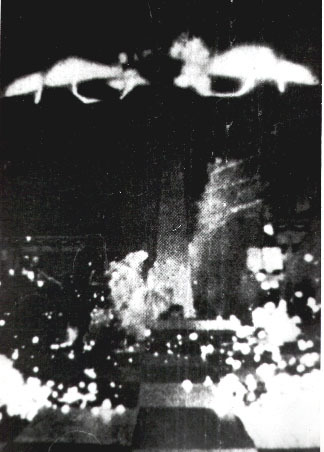 [5/3e] Figure 20-#1: Flying complexes (cigar shaped)of UFOs and Magnocraft. 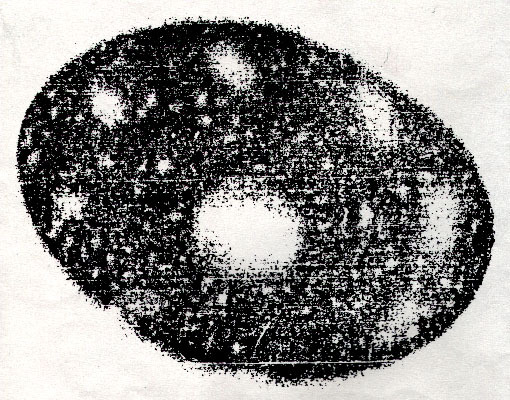 [5/3e] Figure 22: The explanation for the magnetic lens effect in ascending Magnocraft/UFOs. 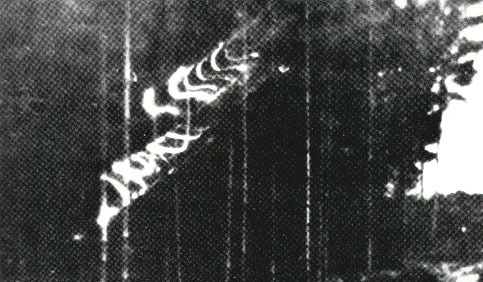 It explains why only the outlet from main "twin-chamber capsule" is visible as shown in Figure 23. 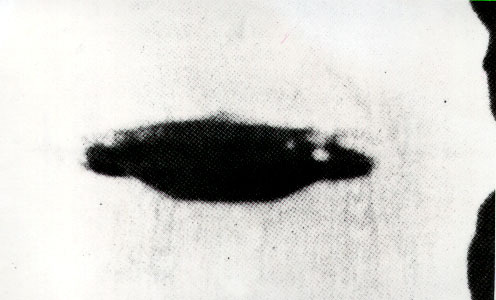 [5/3e] Figure 24 (framed): A drawing of Magnocraft type K3 in the sdame position as that UFO. 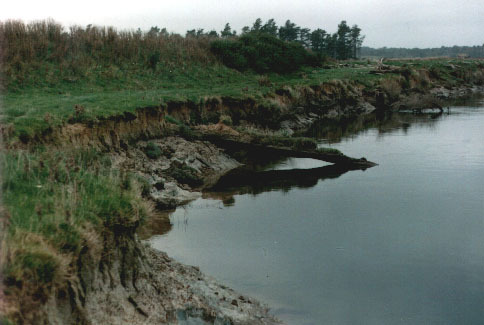 [5/3e] Figure 32: The most educational path through the Tapnui Crater. 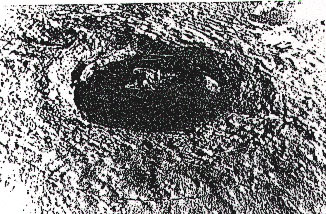 It indicates the evidence present on the site, which documents the explosive origin of this crater. 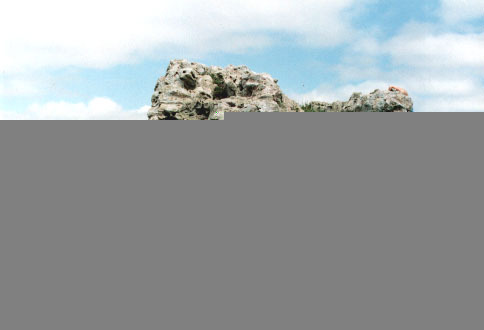 flags: It contains images of flags (English and Polish) used by this web page. 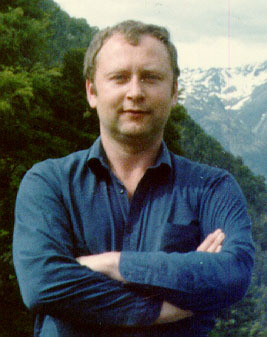 Date of the most recent update of this web page: 27 March 2005.